As a Senior Development Consultant, Ella is instrumental in the preparation of development budgets and levies. At the formative stage of a development, preceding its registration, Ella prepares correspondence for a range of stakeholders including surveyors, solicitors, and developers. Specifically, developers appreciate Ella’s support to guide their planning, in line with Body Corporate legislation. In short, her efforts help ensure a smooth transition from a scheme’s development to the inception of its Body Corporate. 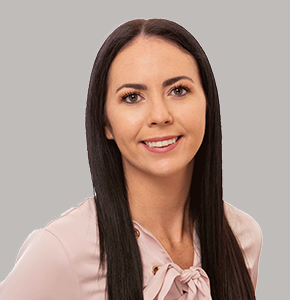 Ella’s industry experience includes an administrative position within a coastal real estate agency and a four-year appointment with a Brisbane based strata-management firm. Initially engaged in an administrative role, Ella was later appointed as a Body Corporate Manager. Known for her attention to detail, it comes as no surprise to learn Ella also has a qualification in graphic design.